The youngest of the Valentine brothers, Jan is a maniacal thug and an artificial vampire. He does not have any high class vampire abilities, and utilizes two P90s. 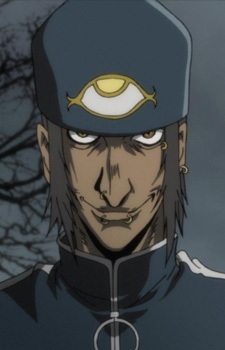 During the assault on Hellsing HQ, he fought Seras and Walter while hunting for Integra, and was eventually remotely killed by Millennium in order to seal his lips.